NPR Illinois | 91/9 UIS will host 11 free events across the state open to the public to talk about how different regions have been impacted by the budget impasse. The forums sponsored by AARP are a chance to hear directly from Illinois residents about their experience without a state budget and panelists’ views on these impacts. The first event will take place in Springfield, IL on Thursday, April 27, 6 p.m. at the Wyndham Springfield City Centre. Moderated by Sean Crawford-NPR Illinois News Director, panelists for the Springfield forum are Amanda Vinicky- Chicago Tonight reporter, former NPR Illinois State House reporter, Jonathan Lackland - Director of State Government Relations at Illinois State University, Howard Peters-AARP Illinois Executive Council Member. NPR Illinois | 91.9 UIS has aggregated their budget coverage on the impact of the impasse under the “Past Due” banner at nprillinois.org. 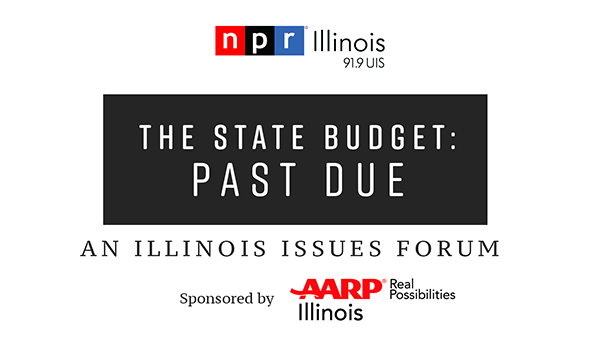 Past Due is a commitment by NPR Illinois to cover the historic Illinois budget impasse and to explain the impact that continues to build. NPR Illinois reporters investigate how Illinois is, and will be, affected by the uncertainty. Hundreds of students helped to kick off the 25th annual Springfest celebration at the University of Illinois Springfield with the annual Scavenger Hunt on April 17, 2017. Springfest is one of the longest running student traditions on campus, which started in 1992. Scavenger Hunt participants were given a surprise list of more 200 items to collect during a one-hour period. Points were awarded based on the number of total items collected. This year, there are 45 teams expected to participate in Springfest for a total of 630 students. WHAT: The University of Illinois Springfield Engaged Citizenship Common Experience (ECCE) Speaker Series, Diversity Center, LGBTQA Resource Office, Organization of Latin American Students and Disability Services present the interactive program, “Break the Silence: Beyond Binaries – Identity and Sexuality”. WHEN: Friday, April 21, 2017, at 3 p.m. 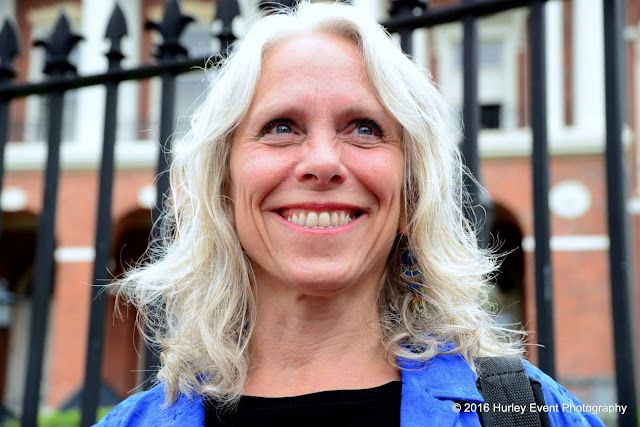 DETAILS: Robyn Ochs, an educator, speaker, award-winning activist and editor explores sexuality over a lifespan as she breaks the silence of fluid sexual identities. Her program explores the landscape of sexuality and how society maps sexual orientation. Given that no two people are alike, how do labels get assigned to an individual’s complicated and unique experiences? Ochs’ interactive workshop will conduct an anonymous survey of participants, look at the data and find where the group falls on the sexuality continuum. 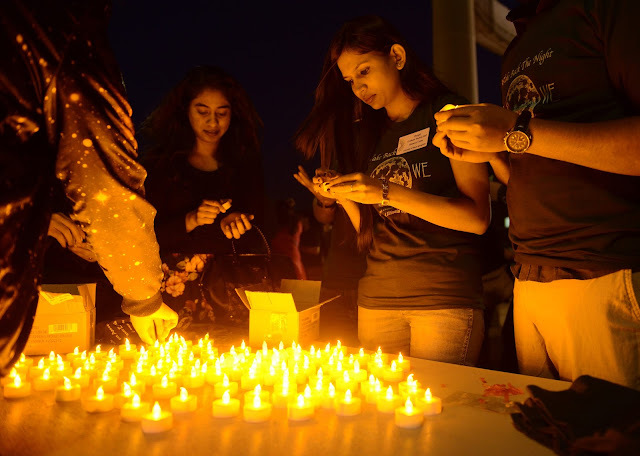 The program will encourage participants in the UIS Day of Silence to share their experience. Ochs has taught courses on LGBT history and politics in the United States, the politics of sexual orientation and the experiences of those who transgress traditional binary categories. Her work focuses on increasing awareness and understanding of complex identities and mobilizing people to be powerful allies to one another within and across identities and social movements. WHEN: Wednesday, April 19, 2017, from 10 a.m. to 1 p.m. 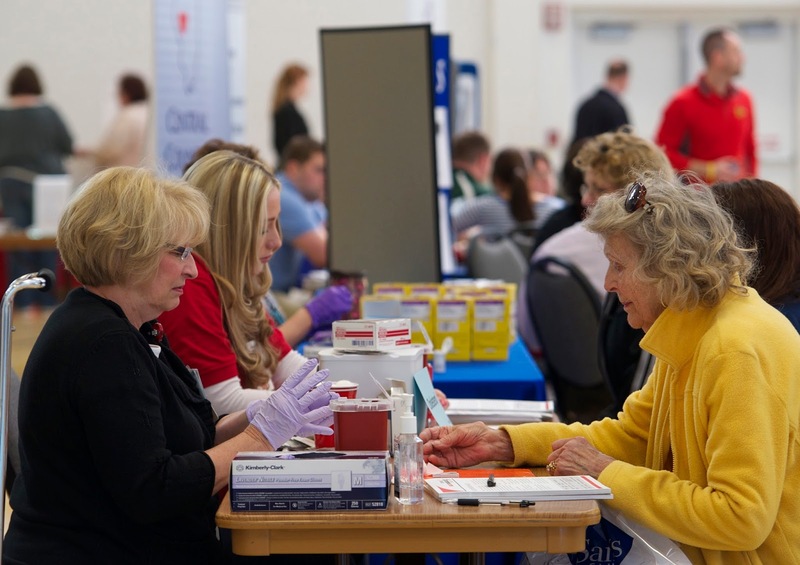 DETAILS: The Health & Wellness Fair will offer information on sexual & reproductive health, HIV/AIDS, sleep apnea, veterans’ reintegration, men’s and women’s cancer prevention. There will also be healthy eating information with food samples. Free cholesterol screenings will be offered, as well as oral cancer, blood pressure, glucose, depression, anxiety and sun exposure screenings. BMI testing will also be available. The Central Illinois Community Blood Center will also be hosting a blood drive from 10 a.m. to 2:30 p.m. at The Recreation and Athletic Center (TRAC) for those interested in donating or blood typing. For more information, contact Linda Nixon of UIS Health Services at 217/206-6676 or uishealthservice@uis.edu. Additional information can also be found on the UIS Health Services website at www.uis.edu/healthservices/. UIS lecture explores "Muslims in America: Challenges and Opportunities in the Trump Administration"
WHAT: The University of Illinois Springfield presents “Muslims in America: Challenges and Opportunities in the Trump Administration” featuring Ahmed Rehab, the executive director of the Chicago office of the Council on American-Islamic Relations. The lecture is free and open to the public. WHEN: Thursday, April 13, 2017, from 8 to 9:30 p.m. DETAILS: Rehab will discuss civil rights challenges of American Muslims and immigration and will conclude with suggestions on how United States institutions of higher education can welcome Muslim students and scholars. An informal discussion with the speaker will also take place from 6 to 7:30 p.m. in the Brookens Auditorium before the lecture. Snacks and refreshments will be offered after the events. Rehab was born in Cairo, Egypt to a Chemical Engineer and a Russian Interpreter, and grew up between Cairo and Manchester, England. He moved with his parents to the United States in 1992. He completed his undergraduate studies in psychology at the University of Illinois at Chicago and his graduate studies in software engineering at DePaul University. The Council on American-Islamic Relations is the nation’s largest Muslim civil liberties and advocacy group. This event is sponsored by the UIS Muslim Student Organization, the UIS Diversity Center, the UIS Division of Student Affairs, UIS International Student Services, and the Islamic Society of Greater Springfield. WHAT: The University of Illinois Springfield Engaged Citizenship Common Experience (ECCE) Speaker Series and the College of Liberal Arts & Sciences, Department of English and Modern Languages, and Friends of Brookens Library present “Cataloguing Gratitude”. WHEN: Thursday, April 20, 2017, at 1:30 p.m. 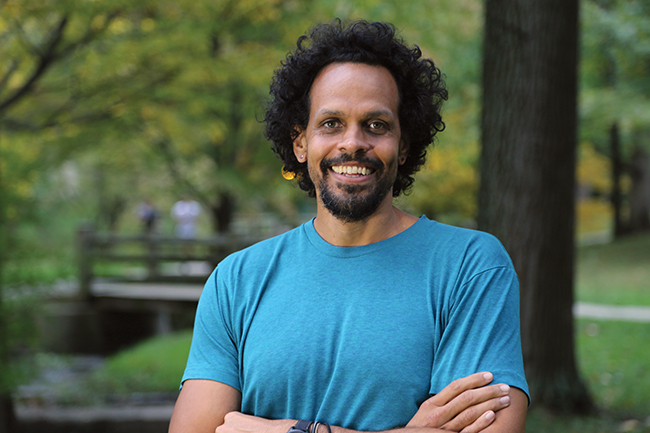 DETAILS: Indiana University Associate Professor and Poet Ross Gay will deliver the Student Technology, Arts and Research Symposium (STARS) keynote address exploring the importance of singular compassion for the wounded world through musicality, intelligence and intoxicating joy. 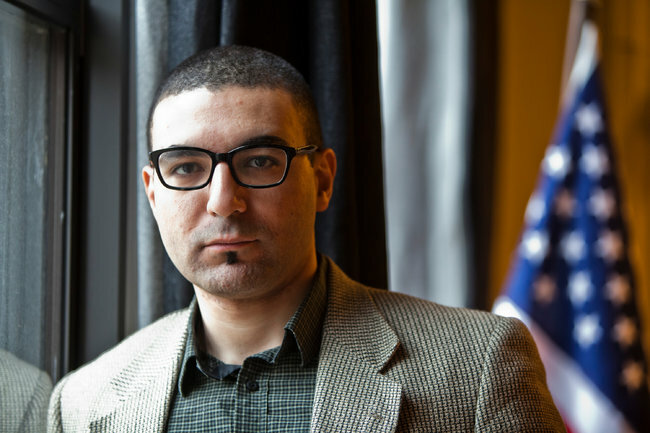 Gay will read from his most recent collection, “Catalogue of Unabashed Gratitude”, which won a National Book Critics Circle Award for Poetry in 2016 and was a finalist for the National Book Award in 2015. Ross is the author of three books. He is a founding board member of the Bloomington Community Orchard, a non-profit, free-fruit-for-all food all justice and joy project. UIS Speaker Series explores "Anarchist Possibilities"
WHAT: The University of Illinois Springfield Engaged Citizenship Common Experience (ECCE) Speaker Series, the Radical Student Union and Political Science Department present a panel discussion and understanding of anarchy. WHEN: Wednesday, April 26, 2017, at 6:00 p.m. DETAILS: UIS Emeritus Professors Dennis Fox and Ron Sakolsky are self-proclaimed life-long anarchists. Their presentation and panel discussion will briefly highlight the history of anarchism and its impact on the world. They will address the common misunderstandings of anarchism and discuss anarchy in the 21st century and beyond. Participants are encouraged to ask questions about anarchy and why it matters today. Fox is an emeritus associate professor of legal studies and psychology. He has participated in dozens of panels and workshops regarding theories on psychology and morality of anarchism. His most recent publication is “Psycho-politics: The Cross-Sections of Science and Ideology in the History of Psy-sciences”. Sakolsky is an emeritus professor of public policy. He has written several books relating to anarchism and surrealism like his collection of essays in Creating Anarchy. He is an editor for “The Oystercatcher”, an anarcho-surrealist magazine. WHAT: The University of Illinois Springfield presents the 6th annual Student Technology, Arts & Research Symposium (STARS). The two-day event showcases student research and creative activities during the academic year. All events are free and open to the public. WHEN: Thursday, April 20 from 1:30 to 7:30 p.m. & Friday, April 21 from 9 a.m. to 4:30 p.m. DETAILS: UIS undergraduate and graduate students will present their research and creative activities through short talks, poster presentations, art exhibitions and musical performances. All events are free and open to the public. The symposium is also a great opportunity for businesses to explore and network with potential new talent for their organizations. The symposium events begin on Thursday, April 14, at 1:30 p.m. in Brookens Auditorium with keynote speaker Ross Gay, the author of the books “Against Which”, “Bringing the Shovel Down” and “Catalog of Unabashed Gratitude” and winner of the 2015 National Book Critics Circle Award and the 2016 Kingsley Tufts Poetry Award. A book signing will follow. 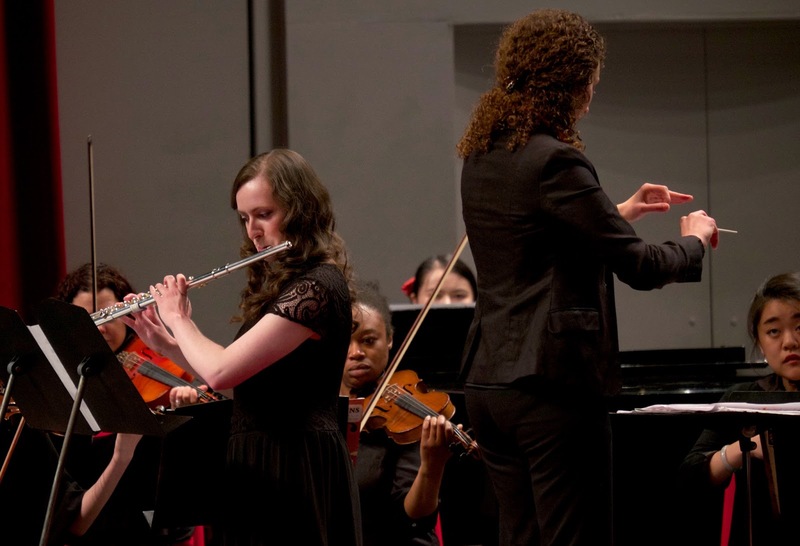 Oral and poster presentations from students in the College of Business and Management, musical performances and an arts reception are scheduled Thursday afternoon and evening. 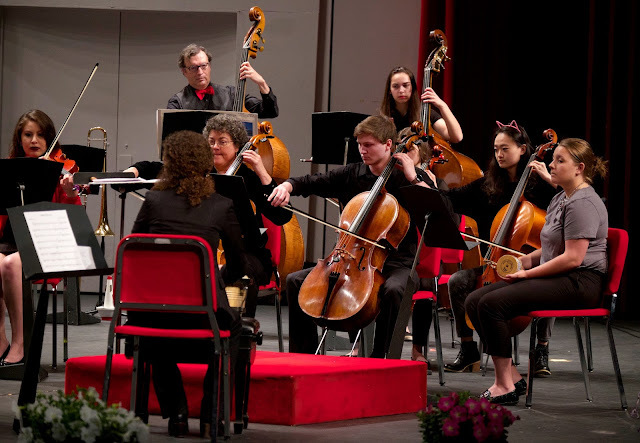 Events on Friday, April 21, include additional student oral presentations, a reading of the student directed play, as well as poster presentations, art exhibitions and music. William Cosgrove, former vice president of the World Bank and current chair of the board of the Water Economics, Policy and Governance Research Network (Canada) will speak at 1:30 p.m. in Brookens Auditorium about global efforts to responsibly manage water resources and the need for a U.S. commitment to sustainable development. For the full STARS schedule, visit http://go.uis.edu/stars/. Questions may be directed to Mike Miller at 217/206-7469 or mmill1@uis.edu or Carolee Rigsbee at 217/206-8254 or crigs2@uis.edu. WHAT: The Military & Veterans Club at the University of Illinois Springfield will hold a Food Ruck 3K to collect canned goods for the Central Illinois Foodbank. A “ruck” is a military inspired march/run/walk where participants will carry the food that is collected. WHEN: Saturday, April 8, 2017, from 9 a.m. to 11 a.m. DETAILS: Participants are asked to bring a backpack full of canned goods, take on the UIS Cross Country Course (at your speed) and donate the cans at the finish line. 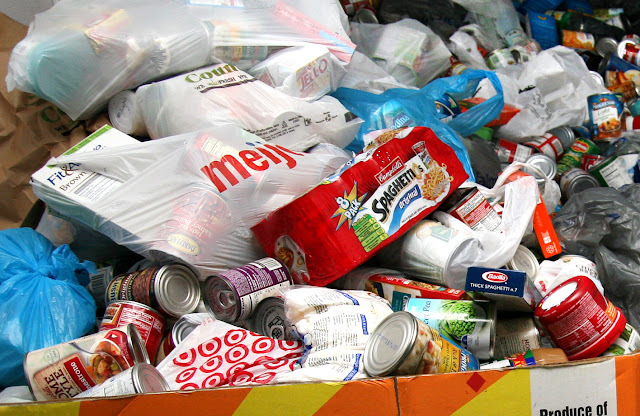 The cost to participate with a food donation is $10 or $20 without a donation. Proceeds will benefit the UIS Military and Veterans Club. HyVee will be matching food donations up to 200 pounds. Other sponsors include Scheels, FitClub, 1 Stop Auto Shop, Landmark Ford, Chatham Cafe, Friendly Chevrolet, the UIS Volunteer and Civic Engagement Center and the UIS Office of Disability Services. Following the event, an after party will be held at the Chatham VFW Post 4763, located at 501 W. Mulberry Street in Chatham. The event is open to the public. For more information, contact Ashti Dawson, student president of the UIS Military and Veterans Club, at adaws3@uis.edu or call the UIS Volunteer & Civic Engagement Center at 217/206-7716. UIS Speaker Series celebrates Earth Week with "River Reconnections: A Story of Science and Hope"
WHAT: The University of Illinois Springfield Engaged Citizenship Common Experience (ECCE) Speaker Series presents “River Reconnections: A Story of Science and Hope” featuring speaker Michelle Carr, Illinois State Director of The Nature Conservancy. Her presentation is sponsored by the Edmund L. Kowalczyk Fund for Leadership at UIS. WHEN: Tuesday, April 18, 2017, at 7:00 p.m. DETAILS: In honor of Earth Week, Carr will help all in attendance understand how social and environmental resilience is possible in cities, farmlands, artificial waterways and other built environments. Current efforts to bridge the perceived gaps between conservation science and economic decision-making. How central Illinois land and water conservations practices are contributing to global solutions. 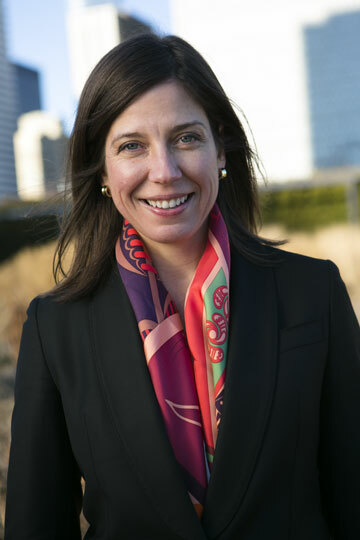 Information about her own efforts to advance critical conversation, issues, such as climate change, across the state. How all in attendance can take a leadership role in local restoration and conservation projects. 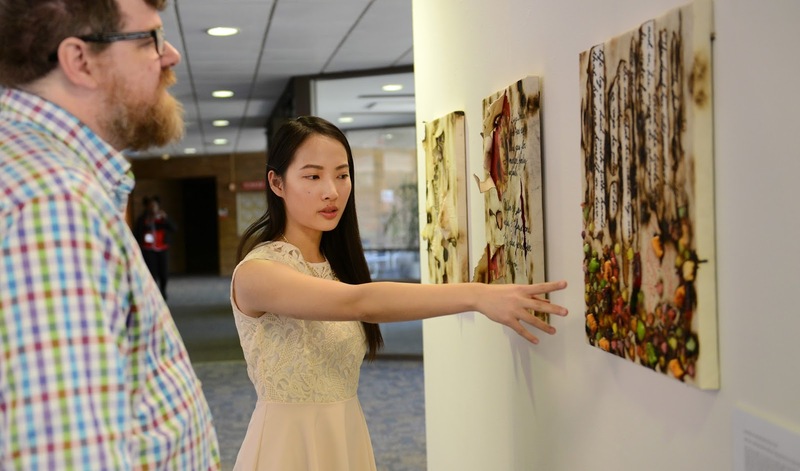 The University of Illinois Springfield Visual Arts Gallery is proud to present “Lunchables”, an exhibition showcasing the creativity and skill sets of the senior visual arts majors at UIS. The exhibit will open on April 27, 2017, and conclude on May 11, 2017. An opening reception will be held on May 4, 2017, from 5:30 to 8 p.m. All events are free and open to the public. The exhibition and the opening reception will be held simultaneously in the Visual Arts Gallery in the Health & Sciences Building and the Access Gallery in the Visual & Performing Arts Building at UIS. Featuring multi-media works produced by the UIS Visual Arts graduating seniors, “Lunchables” draws upon underlying themes of memory and reflection, invoking contemplation on the past, present, and future. This exhibition displays ceramics, painting, digital media, fiber arts, photography, and a multitude of mixed media. From imagined narratives highlighting real-world perspectives to personal narratives told through symbolic forms, this exhibition aims to not only present the skills of these students, but to also challenge the ways in which people perceive reality. 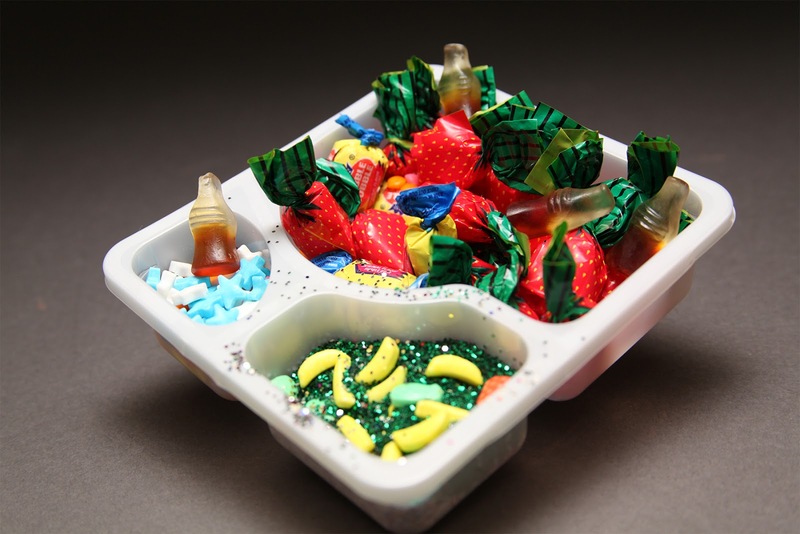 Like the variety of art mediums, art styles, and personalities presented in this exhibition, “Lunchables” asks you to consider how a different arrangement of ideals can change your perspective. Here, Lunchables are a food for thought. Nine UIS student artists will be featured in the show including Almendra Rodriguez, Chorong Park, Chrissy Hanula, Grace Katalinich, Jerica Griffin, Leila Zhang, Sarah Bond, Tabbitha Medina and Thomas Gebhardt.